The dormant House of Detention is located next to the Queens Criminal Courthouse. Photo via nyc.gov. They may not see eye-to-eye on most issues, but Queens community members from across the political spectrum have found common ground on at least one thing: Denouncing the city’s plan to build a new 1,645-bed jail complex beside the dormant Queens House of Detention and Criminal Courthouse. Community Board 9 members, progressive activists from the No New Jails movement and Borough President Melinda Katz have in recent weeks stepped up their criticisms of Mayor Bill de Blasio’s proposal to build the new Queens jail as part of the plan for four “borough-based” detention facilities located in every borough but Staten Island. The new jails would replace the isolate and outdated facilities on Rikers Island. The city will package each site into a single Uniform Land Use Review Procedure application, rather than expose each plan to individual review. ULURP is scheduled to begin March 25. On March 12, CB9 voted 34-0 in favor of a resolution against the jail plan, Patch and the Forest Hills Post reported. The vote is advisory. The board also referred to criminal justice reform efforts to reduce the jail population enough to make new jails unnecessary. “The effective communities simply were not consulted during the development of the plan, especially the proposal to erect a 1.9 million-square-foot facility at 126-02 82nd Avenue in Kew Gardens,” Katz wrote about the proposed project, which would rise just yards from her Borough Hall office. Katz criticized the project in similar language during her Jan. 25 State of the Borough address. A spokesperson for the mayor said the city continues to engage the community on the jail project. 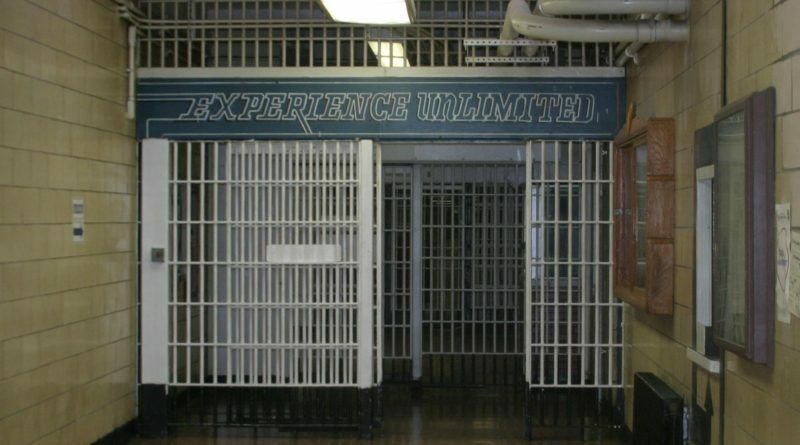 An artist’s rendering of the exterior of borough-based jail. Rendering via City Hall. "We're working with local residents every day to create a jail system that shortens the distance between detainees and the family and support networks that are so crucial to their eventual re-entry into the community,” the spokesperson said. “We’ll continue to respond to the concerns of local residents while we work to close Rikers and improve conditions for those detained and for their families supporting their rehabilitation." Progressive activists have also condemned the plan, with dozens of groups joining the No New Jails coalition and consistently demonstrating against the borough-based jail plan. The opponents’ interests diverge when it comes to the reason why they condemn the jail plan, however. The CB9 resolution said the city should not close Rikers at the expense of the Kew Gardens/Briarwood community. “The affected communities of Kew Gardens and Briarwood do not deserve to be destroyed by the movement of ‘Closing Rikers Island.’ These residential communities deserve at least the same consideration of justice, fairness and humane treatment proffered for Rikers Island,” the resolution states. To the No New Jails coalition, opposing the borough-based jail plan is part of the movement to close Rikers while at the same time eliminating the traditional jail system, which overwhelmingly incarcerates low-income people of color. The coalition’s four-point manifesto calls for closing Rikers immediately without building new detention facilities. No New Jails opposes simply shifting detainees to different locations. The coalition demands that the city divert billions of dollars from Rikers operating costs and into proactive community programs.